How To Install Viper OS Coral 3.1.1 Android 7.1.2 Nougat ROM On Nexus 5 (Hammerhead). Viper OS is a ROM that primarily focuses on delivery performance while maintaining a stellar level of stability. Which it does provide for the Nexus 5. The ROM is blazing fast and delivers an excellent experience. The ROM also puts a lot of stress on making the ROM look and feel great without compromising on the battery life or performance. The ROM is based on Android 7.1 Nougat and LineageOS. It doesn’t provide a purely stock experience which is a good thing for those who don’t fancy the barebones Android look. Overall, it’s a well-built ROM with a dedicated team behind it. 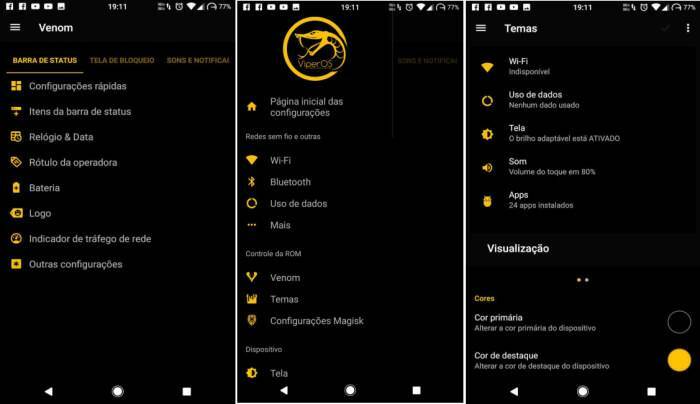 If you are already here, then you know the whole process of flashing a custom ROM on your smartphone. While it is relatively a risk free process, especially if you carefully read the instructions, there is a chance of damage that can occur. So make sure you are well prepared, know what you are doing, and have carefully read the instructions about the installation on the ROM page. Charge your Nexus 5 above 50% battery level to avoid shut downs during the process. Download and transfer the Viper OS Coral 3.1.1 for the Nexus 5 dan Google Apps Android 7.1 to the internal storage. Boot your into TWRP recovery. you can use a small application from Google’s Play Store. 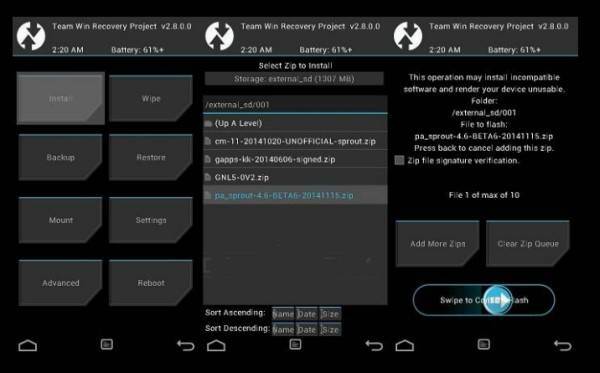 Here are some examples of apps capable of booting TWRP Recovery Mode straight from the Nexus 5 homescreen: QuickBoot, ROM Manager, TWRP Manager, Flashify, and others. As you’re in the TWRP recovery, make a complete nandroid backup of your device. You can follow our definitive guide for nandroid backup from here. Now, make a complete wipe of the device as we want a fresh installation. 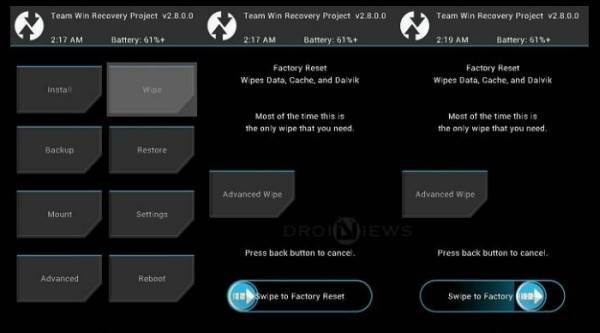 To make a clean wipe, just do a complete factory reset and also wipe the Dalvik cache. Similarly flash the Gapps package and wait for the process to complete. Reboot System your device once the files is flashed. That’s it! You have successfully installed the Viper OS ROM on your Nexus 5. Your phone will now reboot. If your phone takes a long time to reboot, you don’t need to freak out because this is normal.